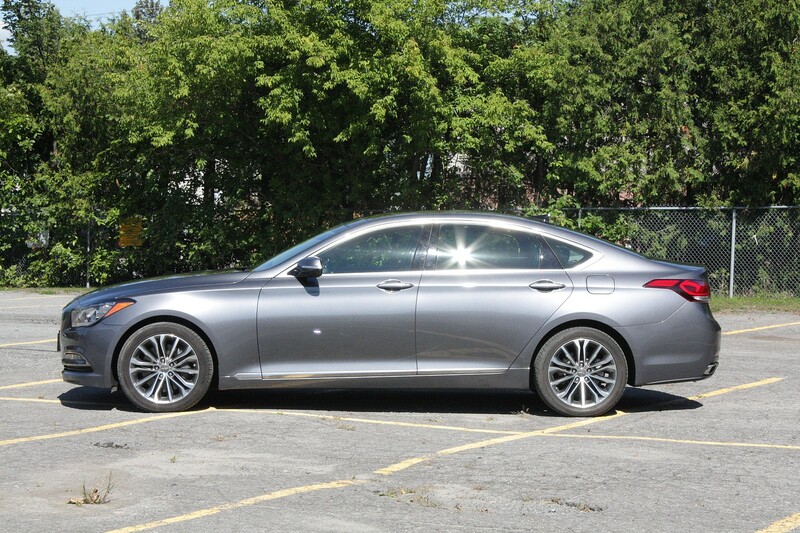 My test car was a 3.8 Tech model, the best-equipped Genesis available with the V6 engine (there’s also a V8). 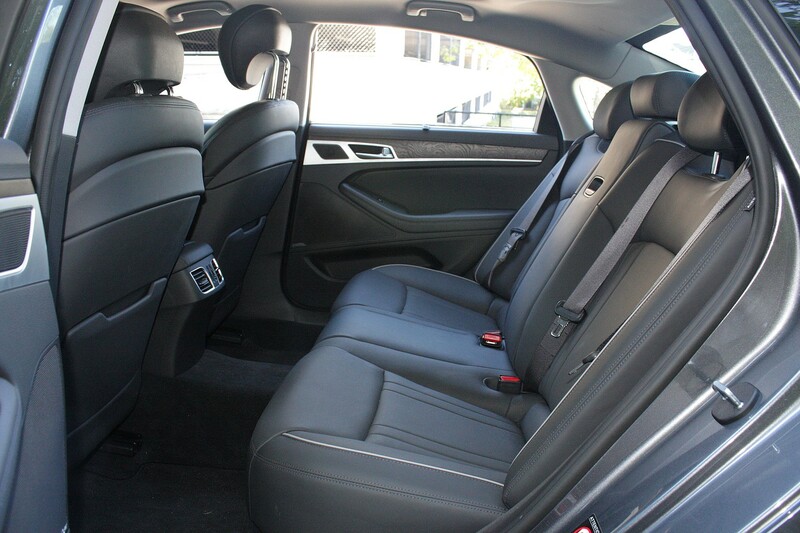 It comes with, among other things, navigation, heated and cooled front seats, heated rear seats, panoramic sunroof, power-adjustable steering wheel, power trunk (more on that in a moment), power rear window sunshade, and wood trim that, if it isn’t real, looks pretty close to it. 2. Is that a Bentley? Two people who saw the Genesis’ winged logo on the hood asked if the car was “some new Bentley” model. Enough said. 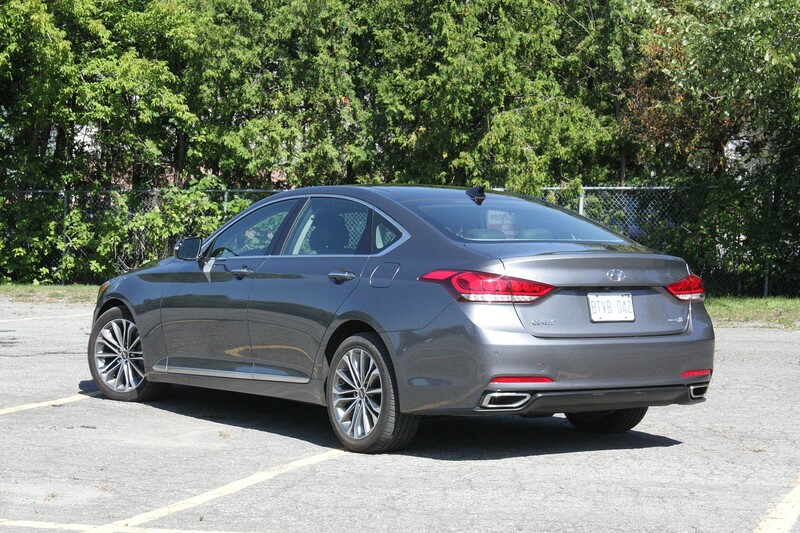 It’s easy to lose sight of a pedestrian while making a left turn, thanks to the thick A-pillar, large side mirror and relatively short greenhouse, making the Genesis a nerve-wracking car to drive in busy urban traffic. With the “smart” key in your pocket, stand next to the trunk for a few seconds, and it’ll power open on its own. Handy if you’ve got armfuls of stuff, and saves you the indignity of having to wave a foot under the rear bumper, a common method of hands-free cargo access. 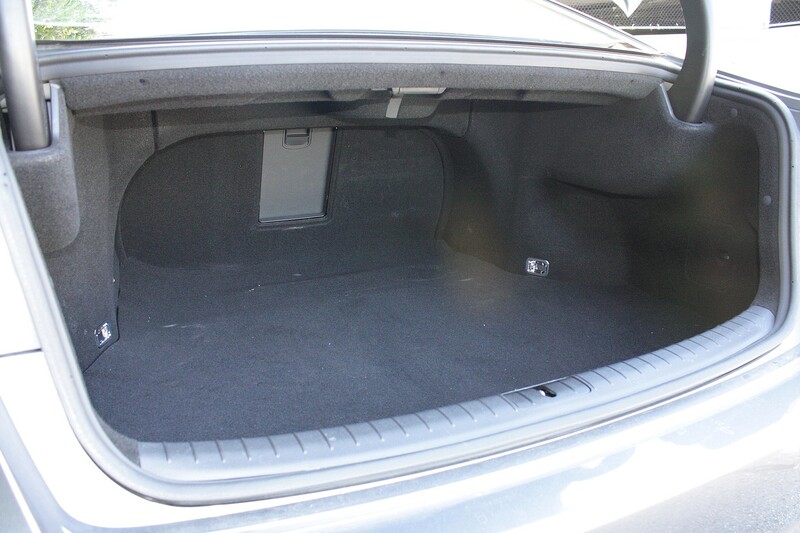 If you’ve got big stuff to move, keep in mind the Genesis’ back seat doesn’t fold, at all. 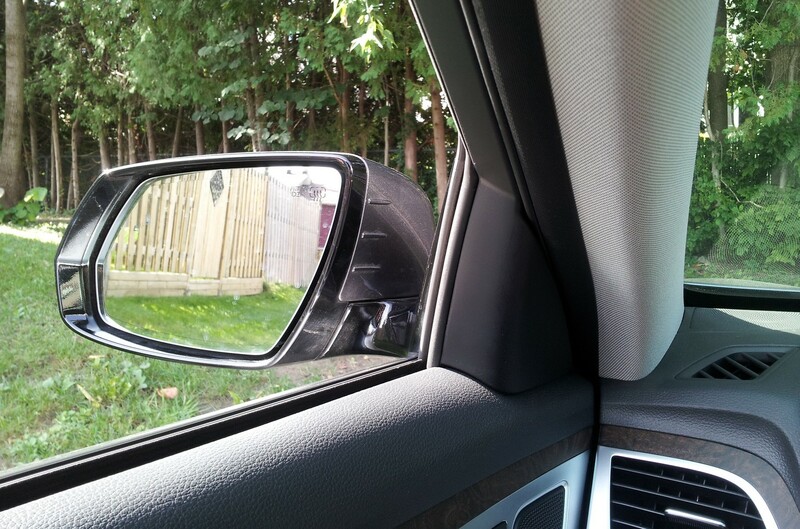 This is a serious oversight that’s common in upscale Asian sedans. Steering feel isn’t great, and the chassis tends toward understeer in hard cornering, but this is a much more entertaining car than its predecessor. In “sport” mode, the engine and transmission are eager to get where you’re going, quickly, and the engine and exhaust sound pretty sweet in speedy driving. 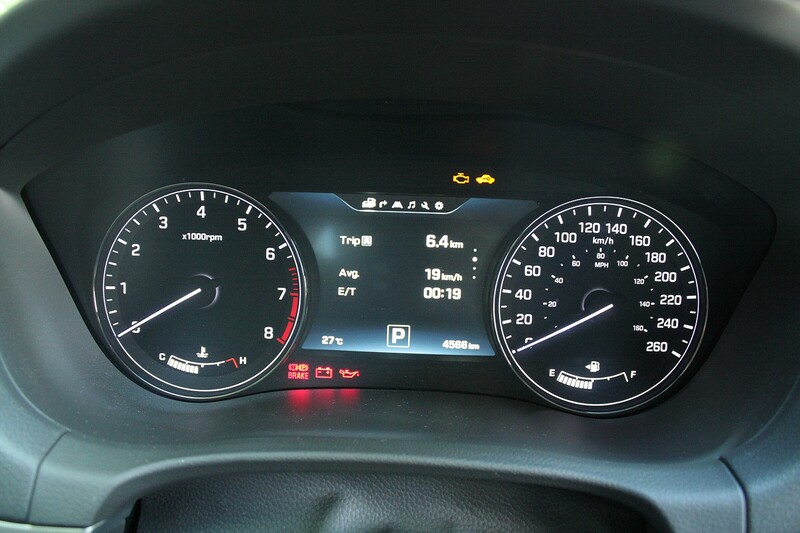 My test car averaged 12.6 L/100 km (18.7 US MPG) in a mix of city and highway driving. It’s a thirsty car in city slogging, where you can expect an average of about 15 L/100 km (about 15 US MPG), even with a gentle right foot. 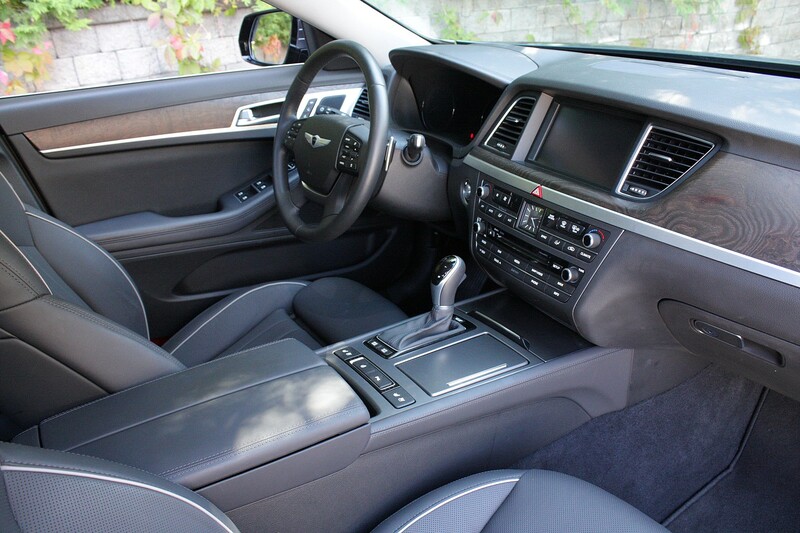 For its upscale look, decent performance and long list of luxury goodies, this car is a steal at its $53,000 MSRP. But it’s a better deal in the U.S., where Hyundai sells the same car I drove for $48,000. If your eyebrow muscles need a workout, go see what it would cost to kit out a competitive German sedan with the same equipment. 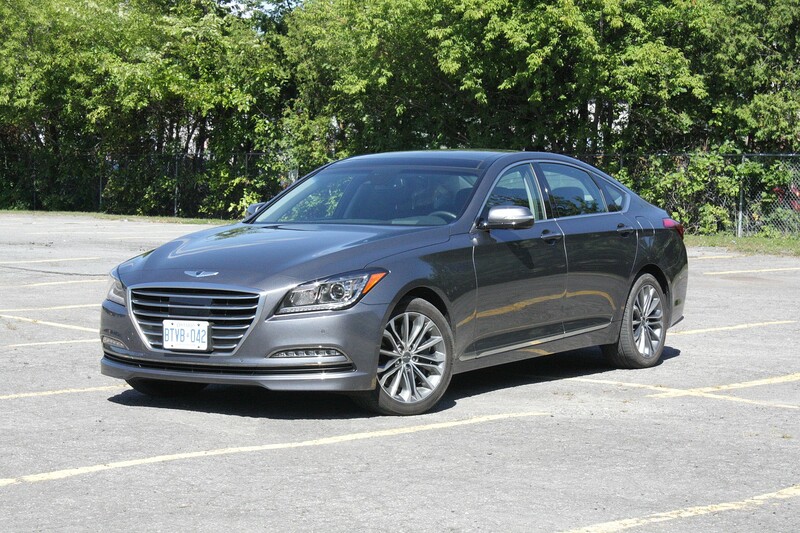 I’m in the early weeks of an extended, four-month test of the Hyundai Genesis Coupe, a rear-wheel drive car that challenges many of the negative stereotypes that continue to dog this carmaker, in spite of the recent, massive strides in quality they’ve made. Click here to read my Autos.ca Long-Term Introduction. 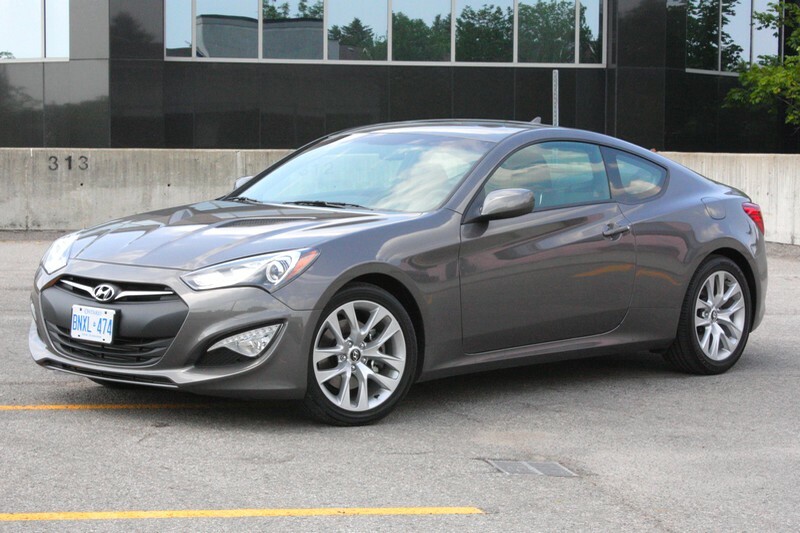 It’s only been on the road for about three years, but I’m fairly confident in suggesting the Hyundai Genesis Coupe is a well-built sports coupe that makes a smart used car buy. 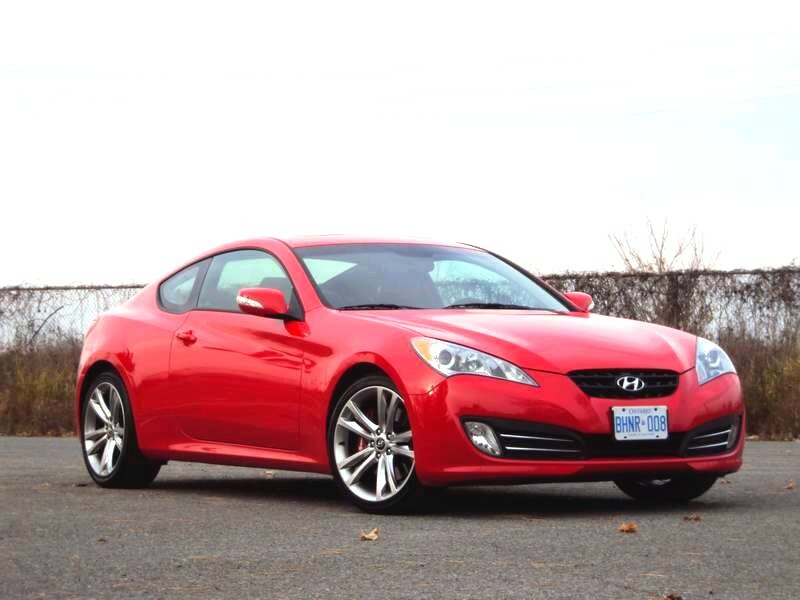 Check out my full review at Autos.ca.